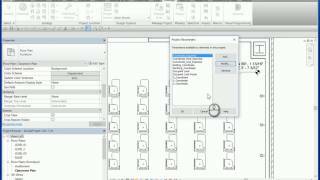 XYZ Coordinate App to extract and schedule the X, Y, Z and Easting and Northing Coordinates from the “Selected Revit Model elements category”. The 2015 version of “XYZ coordinate” app will extract X, Y, Z and Easting and Northing Coordinates from Autodesk Revit family “Structural Column” and “Foundation categories” only. 2016, 2017 and 2018 versions app is an updated version of “XYZ Coordinate” app which extends Revit’s capability to schedule the X, Y, Z and Easting and Northing Coordinates from the “Selected Revit Model elements”. Category limitation: - Due to the Revit family categories constraint, this app can only work with some categories like Doors, Windows, Column, Electrical Fixtures, Furniture, Room, Lighting Fixture etc. All other categories will be skipped. The app simply adds a set of shared parameters to each element in the selection list, followed by transferring the coordinate data of that element to its parameters. Each time when updating the location of the objects re-run the app to get the updated coordinate to the parameter file. This app is fully functional for 15 days of trial period; this gives an opportunity for the user to check whether it works for the category/element they wanted the coordinate data. Babu, I have downloaded trial version of XYZ coordinates, and it defintely fits our needs...However I'm trying to purchase and we need official qoute for this add-on to go through Purchase Order process. We are government establishment and cannot use paypal...can you help us with this. Also downloaded the Pile Coordinates app. Both work seamlessly and the service is excellent. Thanks Babu. Hi there, i am facing issue with the coordinates after using this app. It seems like it took default revit 0,0 location for it reference. But i want it to take my current 0,0 location as reference since i adjusted it to match survey plan using shared coordinates method. Can anyone help me on this? Thanks in advance. This app will get the coordinates (based on your project set up), will not change your project coordinate system. If possible, please email us with a sample project so that we can analyse the issue. This app will get the coordinates (based on your project set up), will not change your project coordinate system.&#13;&#10;If possible, please email us with a sample project so that we can analyse the issue. This is really a great App and very very helpful and saves a lot of time. The plus point is the option to regularly update the co-ordinates whenever the piles are re-located and the option of showing the last updated date and time. This is a wholly reliable App., which has served me well for the past 12 months, without any issues. I look forward to the arrival of the 2016 version. It would be great if additional Categories be included within the 2016 update. Undoubtedly helpful. But once we move any column, parameter doesn't update automatically unless update those again from add-ins tool. never the less pretty much better. It's very great for me to use this. But I would like to ask if this apps can be use at wall and floor, so that I can get their coordination? How can I use the parameters for Tags? Simple and effective. I was hoping for a 2015 update and I just downloaded and tested it. Works great. Thank you for providing this update. Just what we were looking for! Thanks!